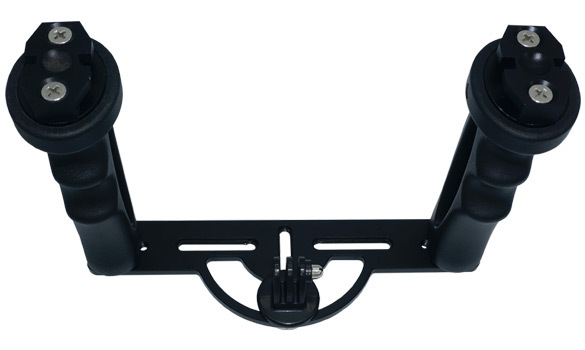 The Hyperion Dual GoPro Tray with Rubber Armoured Handles is designed to accept almost any action camera. 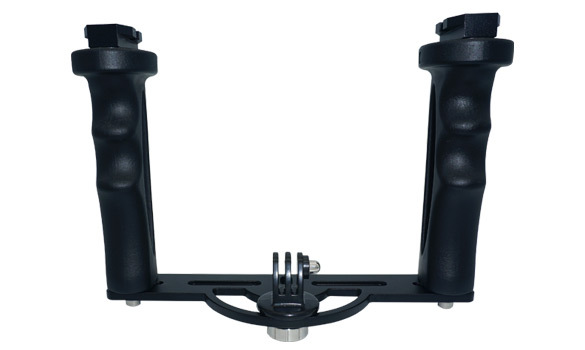 This tray comes standard with a Tripod Screw and Tripod/GoPro Adapter. Featuring two Handles with standard T-Mounts, Stainless mounting hardware and a compact overall design, this tray will suit all of your action camera needs.